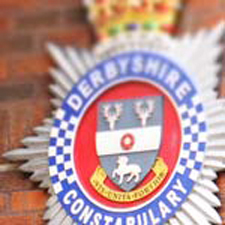 "Never withdraw cash at the request of a stranger" - that is Derbyshire Police's urgent message to the Derbyshire community, particularly the elderly. The advice follows a spate of incidents in Chesterfield this week where people received phone-calls from fraudsters pretending to be police officers. The vulnerable victims were instructed to make large withdrawals of cash and to take the money home and await collection. Four people were targeted in Chesterfield on Tuesday, August 8th and cash was collected by the fraudsters from two vulnerable victims. PC Richard Parkin said: "Individuals that made these phone calls falsely identified themselves as representatives of different police forces from around the country. "The fraudsters told the victims their bank accounts were being used fraudulently or that they had people in custody and, in order to protect the money in their accounts, it needs to be withdrawn and collected by a police representative. "Elderly people are clearly being targeted as part of a criminal strategy, so please talk to friends and family if you believe they might be vulnerable to this type of crime. "Put simply, a genuine police officer will never call a member of the public and ask them to withdraw money. "If that's the claim being made, it is highly likely that an attempted fraud is taking place. Put the phone down and call 101."